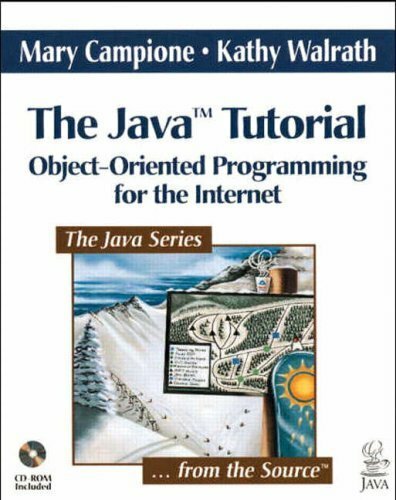 A practical, online guide to writing programs using the Java platform. The tutorial is organized into trails: groups of lessons on a particular subject. We currently have trails for Java newbies, general Java programming, applets, user interfaces, networking and security, new API in the JDK 1.1 release, native interfaces, and JavaBeans. Written for kids from 11 to 80 years old and for school computer teachers, parents who want to get their child into the world of computer programming and college students who are looking for a supplement to overcomplicated textbooks. Functional and flexible, this guide takes an objects-first approach to Java programming and problem using games and puzzles. Updated to cover Java version 1.5 features, such as generic types, enumerated types, and the Scanner class.